How to make your own Hologram Projector? 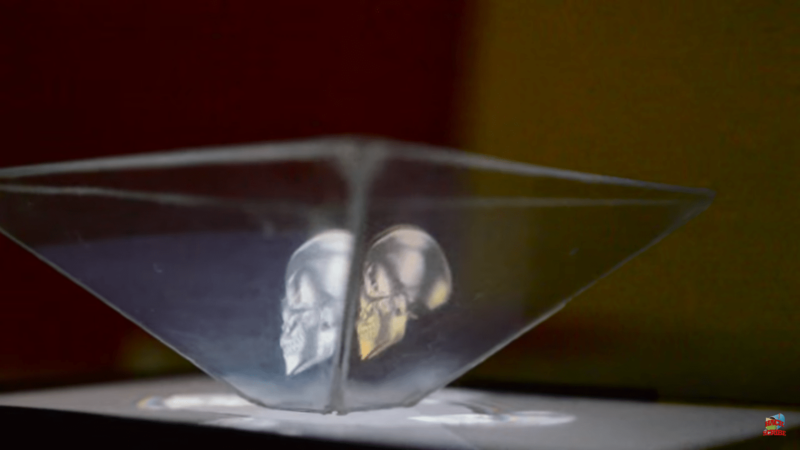 Have you ever seen those Sci-Fi movies or really high tech demos and wanted to have a hologram projector for yourself? Well, I’m gonna teach you how to build one out of any clear plastic or glass piece, which can be used to view specially made videos on your mobile phone. Once you have all the required objects, follow the steps to make your projector. The more accurate the cut and the clearer the plastic, the better the image. Take a graph sheet or an A-4 size and make the following figure. The dimensions are proportional. You can scale up the piece if you want to, but be sure to maintain the proportions. Cut this piece of paper. If you are using a CD Case, break off its edges and polish the plastic. Scratches degrade the quality of your image. Transfer the figure onto the CD case and cut the shape carefully using a knife or a glass cutter. Make 4 identical pieces. If you are using a plastic sheet, simply use the paper as a stencil and cut the pieces as per the dimensions. Make 4 such pieces. 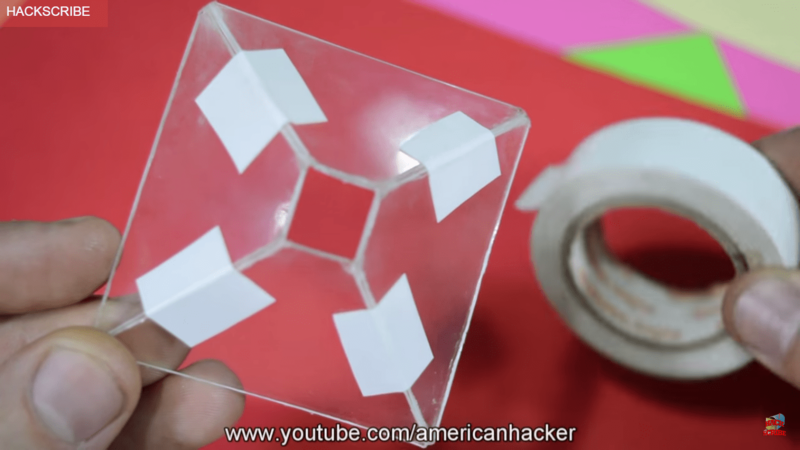 Connect the 4 pieces to form a pyramid as shown and tape them together. Once you are happy with the shape and its structural stability, superglue the edges. This should make the structure rigid enough to stand on its own. Boom! And just like that, your hologram projector is ready. Put the structure in the middle of the screen, small side down. Turn off the lights, watch from a height similar to the structure and enjoy!!! Previous ArticleIs Jon Snow Alive? Why everyone needs to stop speculating about Jon Snow! How to Make a Windows Laptop as a Wireless Monitor ? How to play PUBG on PC for free?